So, how much did Shohei Ohtani just cost himself? 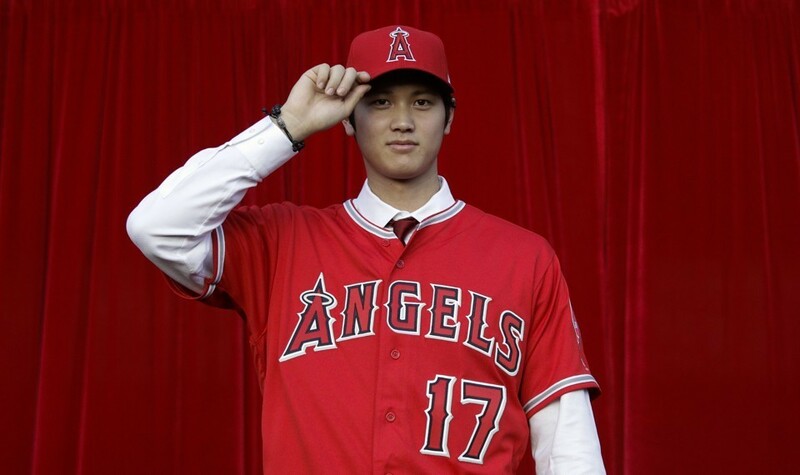 We now know that Japanese superstar Shohei Ohtani has signed; he’s going to the Los Angeles Angels … or in other words, the other baseball team in Los Angeles. His selection of that team seems to have been driven by a desire to be on the West Coast, his apparent desire to be on an AL team to open up the DH opportunities in-between his starts … and his insane desire to leave literally tens of millions of dollars on the table. I was listening to a podcast where some guy was trying to argue that Ohtani was actually making a “good” business move by coming over now. I was flabbergasted. The guy’s main argument was that by coming over now, he gets to free agency two years earlier and thus can get more money then. But it gave zero credence to the fact that he’s going to be costing himself literally tens of millions of dollars by playing for MLB min salaries for three years. I thought i’d try to map out just how ridiculously bad his financial decision was to leave Japan now versus in two years, when he’d be 25 and would be an unrestricted FA. So, using some simple guesses and projections, here’s an attempt to discuss just how much money he’s leaving on the table. By coming over now, he is subjecting himself to the same rules as any other IFA; he gets the maximum bonus that the Angels can offer ($2.315M after they acquired some bonus money just ahead of the signing). He’ll play for the MLB minimum the next three years. Then he’ll enter arbitration, with the caveat that any shenanigans in the contracts he may sign to buy out arb years will probably be voided by MLB. So we’ll use the records for 1st/2nd/3rd year eligible arb players as benchmarks. Age 23-25 seasons: 2018, 2019, 2020: MLB minuimums or there abouts; lets assume he gets good raises and earns $545k, $800k and then $1.1M (Mike Trout owns the current record for pre-arb player salary of $1M). Age 26 season in 2021: 1st arb year; $10M, which is Ryan Howard‘s current record for first year arb eligible players … and which is significantly higher than the 1st year record for pitchers (Dallas Keuchel‘s $7.25M). Age 29 season in 2024: 4th arb year (why does he get a 4th year? Because what’s stopping the Angels from keeping him in Spring Training until a few weeks have passed and keeping him for an extra year? Wouldn’t you? ): $19.75M. So, adding that up; assuming he matches the absolute highest figures in arb figures and doesn’t sign an extension, he’d earn $61.31M in bonus and salary by the time he’s reached Free Agency. 2020, 2021,2022, 2023,2024 at $25M/per. So that’d be $125M plus his two years of Japan salary. That’s a difference of about $65M just between now and 2024 … and that assumes several key points (that he gets the arbitration record each year, that he continues to get his ridiculously cheap $2.3M Japanese salary, and that he “only” gets $25M AAV). Odds are that the actual difference would be much higher, since he’s likely to get a lot more than $25M AAV. Why? Because unlike typical Pitcher FAs we see in the majors … he’s still in his early 20s, he’s got no injury history … and he can hit! So if you think he’s likely to get closer to $35M AAV … then add another $50M to that $65M gap above and now you see why people are saying he’s making a $100M mistake. 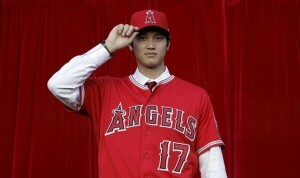 Yes, Ohtani will be making bank through endorsements. So he’s not going to be hurting for cash. But the life of a pro athlete can be fleeting; you get as much as you can, as soon as you can, because there’s no guarantees about what happens tomorrow. Ohtani might blow out his elbow twice in four years and he’s out of the league before he even hits free agency. 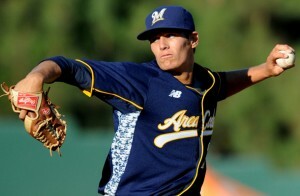 Or he might turn into the next Roger Clemens. He’s making a huge gamble though in order to “compete” against the best now versus in a couple years. (I think I got the above scenario right … let me know if there’s some detail of his contract that I missed). Its make or break time; even more so than a week ago. A week ago, at the beginning of this west coast trip, I thought the team might end up going 2-5 between LA and SF. They faced two good teams on the road against good pitching. I was wrong. They went 1-6. What a Disaster. Scherzer and Gonzalez both laid massive eggs in games where the Nats held a rare and clear SP advantage (over Vogelsong and Cain respectively) and the team squandered games where the offense uncharacteristically scored more than 1 run (5 and 6 respectively in consecutive losses). It was no surprise they got shut out by Kershaw, Greinke and Bumgarner … but they had no excuse to lose to these other stiffs. Amazingly, we’re mid-August and this team has gone 10 and 20 since the all-star break. 10 and 20. Yes they’ve faced some tough pitching, but a playoff team should at least go .500 against a good team throwing good arms. This team has not; it has completely folded. Dave Cameron at fangraphs.com summed up things a lot better than I could. He has a table of 2014 and 2015 WAR figures that’s pretty amazing. He also has the playoff odds for both Washington and New York and what they’ve done over the past few weeks and that’s pretty amazing too. The Nats are 58-59. Amazingly despite a 6 game losing streak the Mets also fell on their faces this weekend and the Nats didn’t lose much ground in the race. But they’re 4.5 back with 6 weeks to go and need to step it up. They now have 6 straight games against two bad teams (Colorado and Milwaukee). Can they salvage their season and actually win some of these games? Storen’s ERA since: 10.38 in 8 2/3rds innings. Papelbon’s entire contribution since arriving: 5 IP in 5 games, 2 saves. Could just be a coincidence. Demoting a popular, home grown player who was having a great season with a blow-hard attitude guy couldn’t possibly be a reason for a team that has shown itself to be mentally fragile in the past to shut it down, right? So, Jayson Werth‘s wrist injury is going to keep him out longer than expected, so he hit the 15 day D/L and to cover his spot the Nats called up one of their two remaining outfielders on the 40-man roster, right? You know, maybe Matt den Dekker, who was acquired in the late spring specifically to provide OF depth and who has MLB experience? They called up infielder prospect Wilmer Difo, he of exactly 33 games of experience above Low-A ball. Difo, who last time I checked is NOT an outfielder. Dave Cameron at Fangraphs also questioned this move, pointing out all the things i’d point out. What exactly is Difo going to do on this team? Are they planning on dumping Dan Uggla so that Difo becomes the backup utility infielder who can actually play shortstop? I mean, I get that the team was already pretty over-loaded on outfielders (3 starters plus Moore, Robinson AND Taylor), so perhaps this move is to (finally?) rectify that imbalance. Maybe the team just realized its 27th in the league in SBs and wanted some speed. That leaves just seven 40-man players in the minors who could actually help the team. Outfileders den Dekker and Brian Goodwin. That’s it. Has anyone heard one word about Nate McLouth? That was $10M well spent. At least Janssen is rehabbing and seems close. Me, i’d be a bit worried about reliever depth. Or not; it doesn’t seem to be exactly hurting them, as Bryce Harper powers the team into 1st place. 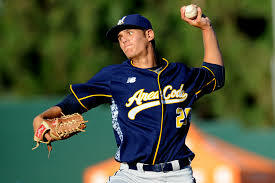 We got word today that 2014’s #1 overall pick Brady Aiken did indeed suffer an UCL injury in his first 2015 start and underwent Tommy John surgery yesterday. 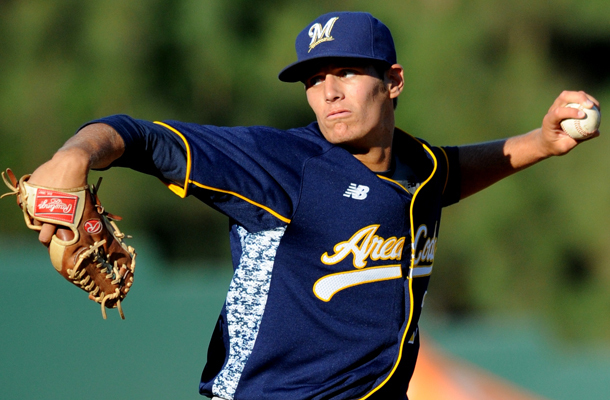 Awful break for Aiken, and a huge shake-up for the top of the 2015 Rule-4/Amateur draft. Quick oral history of the Aiken situation: Houston made him last year’s #1 overall pick, then rescinded/altered their $6.5M bonus offer after having “concerns” about Aiken’s UCL when viewing his medicals. Aiken’s representatives rejected the lowered offer (wanting Houston to honor their original offer), and in the end declined to sign the lower amount (reportedly $5M at the deadline), and Aiken became just the third #1 overall pick to fail to sign in the draft’s history. Thanks to baseball’s convoluted draft bonus rules, the failure to sign Aiken led to a cascading effect, costing them enough “pool dollars” to have to also rescind offers to 5th round pick Jacob Nix and 21st round pick Mac Marshall (now at LSU). Nix (rightly so) filed a grievance against the Astros for the situation and was awarded his full $1.5M promised bonus (which, in my opinion, should absolutely be coming out of the Astros’ bonus pool for what they did). Nix and Aiken eventually enrolled at the IMG academy in Florida, a post-graduate prep school designed to be a place for budding athletes to play who may have lost their HS eligibility. Both had planned on re-entering the 2015 draft. My thoughts on this whole mess? I have to re-evaluate my opinion of the Astros organization’s behavior; previously I thought they were just being penny pinchers and were screwing with the careers of multiple amateur players (both Nix and Aiken lost UCLA scholarships over the mess). Clearly they were right to be concerned about Aiken’s elbow, given that it tore within about 20 pitches of last being on the mound. And now they get two top-5 picks out of a draft that does have some talent in it … and should have the money to sign them. That being said … what was the real difference between their initial $6.5M offer and the $5M final offer? Think about it: why are teams so ridiculously obsessed with figures in the $1-$2M range during amateur signings, when teams are *routinely* giving out 8-figure deals to mediocre veterans? The Astros gave Luke Gregerson 3yrs/$18.5M and Pat Neshek 2yrs/$12.5M deals this off-season; that’s a combined $30M for two middle relief right handers. They’ve been the lowest payroll team despite a massive RSN deal and play in the nation’s 4th largest market. You mean to tell me they couldn’t still pony up the $1.5M difference for the #1 overall pick in the draft? They couldn’t have just gotten an insurance policy to cover their risk of moving forward with Aiken? If you were the Astros today, wouldn’t you rather have Aiken (with insurance policy), Nix and Marshall in the fold? Do you think maybe your professional staff could have managed/mitigated this injury? Did Aiken cut off his nose to spite his face by rejecting $5M? Even before this injury, he was already dropping on draft boards, no sure guarantee to go 1st overall in 2015. And with Houston holding the #2 and #5 overall picks there was already a real possibility of Aiken dropping outside the top 5 (since clearly Aiken would have refused “re-draft” possibilities), which means he’d have a heck of a time getting anywhere close to even the $5M he turned down. At some point his adviser should have just accepted the deal, in my opinion. The new rules just make it impossible to get anything close to the bonus he turned down unless you’re #1 overall. The situation kind of reminds me of the Matt Harrington situation, who turned down multiple bonus offers (one as high as $4M) and kept seeing his draft stock fall until he finally signed as a run-of-the-mill 13th rounder and quickly flamed out of pro ball. His wiki page details the whole mess of a story. There does exist a possibility of a team picking Aiken despite this injury. Both Jeff Hoffman and our own Erick Fedde were picked in the mid-to-upper 1st round despite being rehabbing TJ arms. And Aiken was more heralded than either guy. I could see a team with a longer term view taking a chance on Aiken in the top 10. A quick look at the 2015 draft order reveals some “gambler” type teams/GMs in the top 10 who could make a deal. Assuming that your top-end names under consideration include the likes of Mike Matuella, Brendan Rodgers, Kolby Allard, Dillon Tate and maybe even someone like UVA’s Nathan Kirby , that could put teams in the 6-10 spot right in line to pick Aiken. And that 6-10 range includes both Chicago teams and Boston, rich teams that could afford to wait him out. 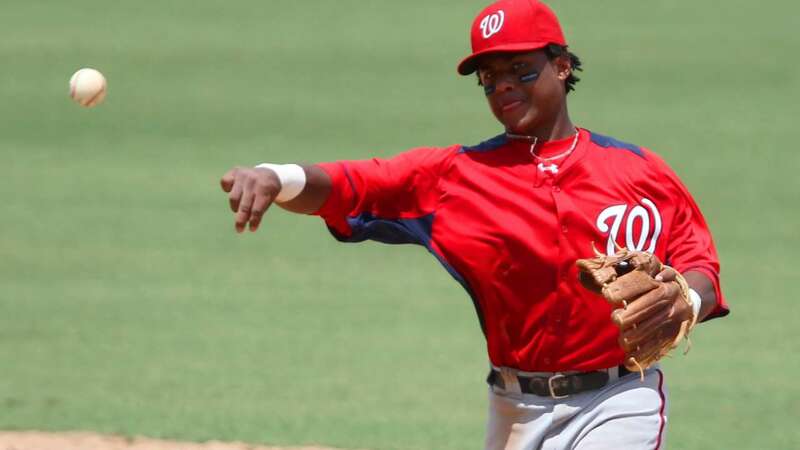 One thing for sure; the odds of the Nationals getting another shot to pick a TJ case are slim; we gave up our 1st rounder to sign Max Scherzer and won’t pick until the 58th overall spot (compensation for not signing Miami’s Andrew Suarez last year). I don’t think Aiken lasts til the 10th pick; certainly he won’t be there in the mid 2nd round. Tough break for Aiken; hope he can salvage some bonus money and start his career. Jeff Ellis at Scout.com predicts the same that I do for Aiken’s draft status; top-10. David Schoenfield at ESPN talks about Aiken and the “inequalities” between being born in the USA and elsewhere in the draft/signing markets (and the discrepancies are ridiculous). Dave Cameron at fangraphs has some quotes from Aiken’s social media posting announcing his surgery and some critical analysis. Post-posting update: presumed top-5 draft talent Kolby Allard is also out for the season with a back injury, further thinning the list of names in consideration for the #1 overall pick so far. Another post-posting update: on 4/1/15, Duke ace (and NoVa native) Mike Matuella announced the he too has to have Tommy John surgery. That’s three presumed top-5 picks in the upcoming draft now out with season-ending injuries. Wow. Wow; I got into work today and opened up the Washington Post and saw that the Nationals pulled off what I think is a huge steal of a trade, getting Detroit’s Doug Fister for three fringy guys in Steve Lombardozzi, Ian Krol and Robbie Ray. Taking the very glass is half empty view of the guys we just sent away: we get an accomplished starter for (frankly) two edge-of-the-25 man roster players in Lombardozzi and Krol, and a prospect who I like but who scouts never have really taken to in Ray. Lombardozzi took a step back this year offensively and despite being the kind of flexible, multi-positional player that teams crave this year (think of how Tampa Bay uses Ben Zobrist) he was exposed at the plate and may have already shown what his peak is (backup infielder). Krol flashed up the farm system and looked fantastic in his early MLB appearances, but slumped enough to be demoted back to the minors in search of some consistency; he’s got a great arm but clearly is a one-out lefty. Robbie Ray is a very young and accomplished starter who has operated in the shadow of his fellow high school draft-class mate A.J. Cole and has mostly out-pitched him, but the scouting reports on Ray seem bearish on his eventual ceiling (4th starter at best?). If i’m a Detroit fan, I’m scratching my head here. A backup infielder, a matchup-lefty with just a few months of MLB experience, and a AA prospect who is probably still 2 years away? That’s the return for a cost-contained, effective 4th starter for a team who’s oft-repeated mantra is Win now? I just don’t get this deal for the Tigers. 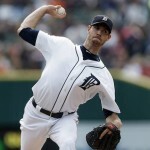 Yes Fister faces arbitration, and his salary may rise up to the $6-$7M range, and yes I guess Detroit has a ready-made replacement in Jose Alvarez or perhaps Drew Smyly, but why are you trading away depth at a time like this? Is this simply a money-saving deal? The team saves somewhere in the range of $6M in arbitration for Fister (paying MLB mins or less for all three guys they got back). As others have pointed out, the Tigers really must have liked what they saw in Robbie Ray to make him the clear centerpiece of this deal. Some other quick responses in the Baseball analysis world: Keith Law hates the deal for Detroit with this quote summing it up nicely: “A lefty reliever, a backup at second and a non-top-100 prospect is just not a good return for two years of one of the top 30 starters in baseball.” Jayson Stark thinks Detroit made this deal for payroll relief and seems to indicate that Detroit’s GM Dave Dombrowski is already on the defensive. Matt Fillippi at HardBallTimes questions Detroit’s mindset. Grant Brisbee wishes his team (the Giants) could have done this deal. Dave Cameron says the Nats “stole” Fister in this deal. So, I’m not being a homer in saying that, on the face of it, this is a fantastic deal. Fister posted 3.67 ERA in 2013 pitching in front of a horrible Detroit defense in the American League, so you would have to think that he’s going to immediately get that typical 1/3 to 1/2 point improvement on his ERA moving to the NL and facing weaker lineups and pitchers on a regular basis. Not to mention going from one of the worst infield defenses to one of the better ones. Meanwhile, despite being called a “4th starter” Fister quietly has been one of the best pitchers in the league over the last three years; in Cameron’s fangraphs post he has a list of the top pitchers by various measures over the last three years and Fister easily makes the top 15 arms in the game by most measures. He’s a 4-WAR arm slotting into a near-replacement level WAR slot (Dan Haren) for half the price. And the team basically gave away spare parts and a decent but not elite prospect to get him. Lombardozzi was still penciled in a backup infielder/utility guy. Does this open up an opportunity for Zach Walters to earn a spot? Will the team buy a cheap utility guy on the FA market to couple with Scott Hairston? Does this pave the way for Danny Espinosa to return to the majors? Krol’s departure thins the already thin internal loogy ranks to choose from, which to me indicates that one of two things now happens. We either try to buy one of the limited remaining professional lefties on the market or we go into 2014 planning on converting a here-to-fore starter (either Ross Detwiler or Sammy Solis) into a left-handed option out of the pen. Unless we think Xavier Cedeno is the answer. Summary; Great move by Mike Rizzo, and I have to immediately agree with Law’s sentiment that this easily gives the Nats one of the 2-3 best rotations in either league heading into 2014. I didn’t think Starting Pitching was an area of greatest need necessarily … but boy he’s upgraded over the 4th starter/$13M experiments the team has been running out for the past two years in a hurry. One of the more intriguing FA situations for the coming off-season was resolved incredibly early, with Tim Lincecum signing 2yr/$35M deal to stay with the San Francisco Giants for two more years. 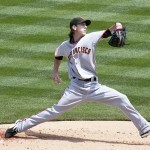 Lincecum also gets a full no-trade thrown in. 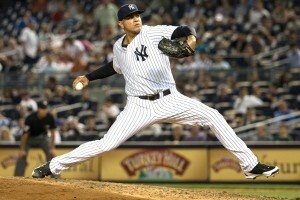 His fastball velocity, once a strength, rank him 62nd out of 81 qualified starters in 2013. He was averaging 93-94 with a peak of 99 earlier in his career; now he’s averaging 90.2 and peaking 94.3. That’s a huge, significant velocity loss that hasn’t been accompanied by any D/L stint or time off. He’s 29, he’s got incredibly weird (lets call them “unique” to be nice) mechanics and he’s coming off of two seasons where he’s pitched like a 4-A pitcher, well below replacement value. I’m sorry, but why would anyone believe at this point that he’s got any shot of returning to his Cy Young glory? Now, you can argue that his more advanced numbers (Fip, xFIP, Siera) aren’t as damning as the traditional numbers I posted above (this is exactly what Dave Cameron does in one of the reaction links located at the bottom of this post). And you’d be right to a certain extent. By xFIP for 2013 he’s ranked 29th of 81 qualified starters. By FIP he’d be ranked 45th, and by SIERA 35th. None of those are elite placements for the year. It still don’t make Lincecum a $17.5M/year arm. And, that’s putting an awful lot of faith in the xFIP, if that’s your argument. Because we’ve seen plenty of pitchers whose xFIPs always trail their FIPs (and Lincecum pitches in SF, where homers go to die). And we’ve seen pitchers whose FIP is improved because they get more K’s than ground ball outs (and Lincecum is still a high strikeout pitcher, so his FIP will always look better). And one final rebuttal; xFIP is an estimator of future performace, not a guaranteer of it. Look at Lincecum’s career and his xFIP-next year’s ERA link is all over the place. To blindly look at his 2013 xFIP and predict that he’s returning to form is, well, foolish. And none of these arguments apologizes for his negative WAR values the last two years; hey Sabre-nerds; you can’t pick and choose stats to approve this and leave out your favorite one. I wouldn’t have given him half the guaranteed money the Giants just did. I wouldn’t have even given him a Q.O., because its hard for me to believe someone out there would have given him even $14M guaranteed for 2014. – 2013: 10-14, 4.67 ERA, 1.238 WHIP, 81 ERA+, -0.1 bWAR. Comparing this stat line straight up with Lincecum’s 2013, you’d clearly think this pitcher would be more in line to get paid than Lincecum, right? This stat line belongs to none other than Dan Haren. Who thinks Haren is scoring a 2 year/$35M deal this off-season? Who here thinks Haren even gets a 1 year/$8M deal? Certainly Haren’s not going to get a Qualifying Offer out of the Nats this fall. Other opinions on the deal: Hardballtalk advised not to “freak out” about the contract, that there’s so much money in the game and blah-blah. Sorry, this isn’t about salary escalation (if you wanted to talk about that, lets talk about the Hunter Pence deal … a clear example to me of salary escalation for a good but not great player). Dan Symborski at ESPN hates the deal with pretty good points about the timing, the lack of a Q.O., the lack of a market for him, etc. Keith Law points out that the contract seems like a “thanks for the memories” contract, not one that will actually help the Giants win. Gwen Knapp on SportsonEarth points out the sentimentality of the deal. 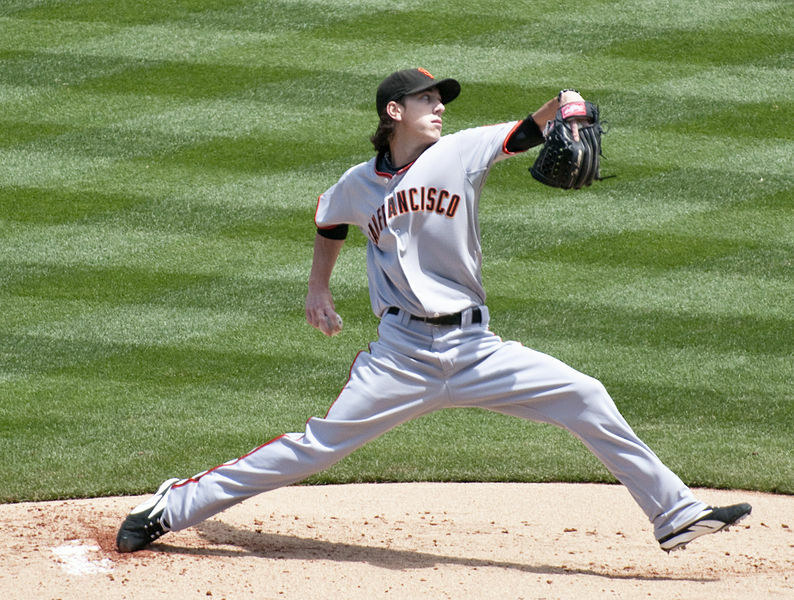 Dave Cameron points out that Lincecum’s xFIP makes him actaully more valuable than his traditional numbers appear. Maybe we’re the dumb ones and the Giants are the smart ones. Rob Neyer tries really hard not to be harsh about the contract. And lastly unabashed SF homer Grant Brisbee chimes in. Giants GM Brian Sabean has long had a bad rap in the blogosphere as being one of the poorest GMs in the game. And then his team went and won the World Series two years out of three. But moves like this bring back questioning of his competence. Unless he throws his owner under the bus and washes his hands of the deal, if that’s indeed the case. 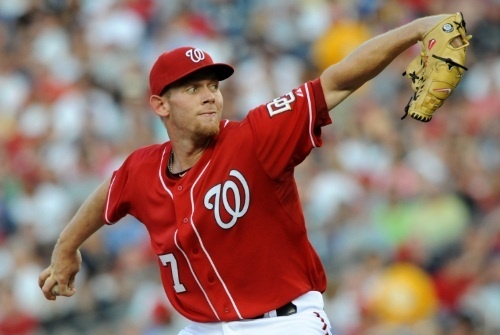 Our Ace, and “Best in the League” by many pundits pitcher Stephen Strasburg is now 1-4 on the season with relatively pedestrian (for him) numbers so far (3.16 ERA, 3.32 FIP, 3.65 xFIP). So what’s the problem? Or, more importantly, what is NOT the problem? First off; I think its safe to say we can ignore his inflated FIP and xFIP numbers for now. As I pointed out in this April 4th post about my issues with fWAR, FIP focuses entirely on the “Three true outcomes” that a pitcher entirely controls and really does a poor job of measuring pitchers who induce a whole slew of weak ground balls (like Strasburg does). This is easily seen by looking at the two example cases in the 4/4/13 post to see how FIP measures a guy who strikes out 9 but gives up 5 earned runs higher than a guy who strikes out just a few but gives up zero runs in an outing. I also do not buy the opinions I’ve heard in various forums and podcasts that hitters are “squaring him up” a lot this year. You heard this a lot after his 4/19/13 loss to the Mets, when he gave up back-to-back homers to Ike Davis and Lucas Duda in the 6th (two of the three homer’s he’s given up this year, the third being an out-of-this-world chest-high fastball just clubbed out by Evan Gattis). I don’t buy this because observation has shown that he gives up a TON of bloops, dinks, infield nubbers, etc. He also has a very low Line-Drive percentage right now; just 14.9% of the balls hit off of him so far this year have been classified as “line drives,” or hard-struck balls. Dave Cameron of Fangraphs had a piece on ESPN talking about Strasburg and the Nats “pitch to contact” strategy that shows essentially that pitch-to-contact guys don’t really throw that fewer a number of pitches than guys who just try to strike you out. 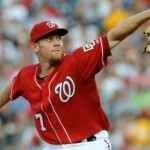 Is Strasburg’s change in style leading to issues for him? So far it doesn’t seem so: he’s averaging about 6 1/3 innings per start and has been right around 110 pitches each of his last four despite still going deeper into the game. But his K/9 is absolutely down (from 11.1 last year to 8.0 this year). No, I think Strasburg’s issues are these three items. 1. Bad first innings. Tom Boswell had a great piece on this earlier this week, talking about how a lack of a first pitch strike has really cost Strasburg this year. And he’s right; pretty much the absolute worst thing you can do as a pitcher is to show a hitter your fastball for a ball at 0-0. Not only does the hitter get the timing down pretty well on your fastball, but he also gets ahead in the count. Boswell is probably right in saying that hitters are now trying to jump on the first fastball they get, knowing that getting behind in the count against him is near-certain demise; but Strasburg has to make that adjustment too. He can’t nibble on first pitch fastballs; he has to be smarter than that. Strasburg has given up 15 total runs in 5 games this year; fully EIGHT of them have come in the first inning. That just cannot continue. April 7th; 6 runs given up to Cincinnati: in the first he gave up his runs after two infield singles and a walk turned into a 2-rbi double, the only well-hit ball of the inning. He gave up 3 more in the 6th on some better hit balls and had one runner score after he departed. April 13th: 6 innings pitched, zero earned runs and a loss; Ryan Zimmerman threw away a routine 3rd out and the next guy up clubbed a homer. Yes, he gave up a homer (it wasn’t as if he made a bad pitch there; Gattis just crushed it) but he never should have been in the position in the first place. April 19th: Two more unearned runs in the first when Desmond booted the first ball of the day; a weak dribbler up the middle. He gave up two more hits in the 1st but only Buck‘s was really a line-drive. By the 6th inning he gave up two bombed homers; no bad luck there. April 24th: the lead-off double was earned, but the rest of the hits in the first were opposite field shorter line drives, with the required Nationals infield error thrown in to ensure unearned runs contributing to his day. 3. Lack of Run Support. In his five starts, Strasburg’s offense has scored this many runs for him: 2,3,1,1, and 2. That’s 1.8 runs per game! Maybe Bob Gibson in 1968 could have gotten wins with that little run support, but certainly not Strasburg. The Nats YESTERDAY gave Gio Gonzalez nearly the same total run support that Strasburg has gotten all year. Which NL playoff contenders are helped/hurt by Interleague Schedule? Spurred into action by this Dave Cameron SI.com piece, where he postulates that Atlanta isn’t as well constructed as other NL playoff contendors (including Washington) for constant intraleague because they don’t have a natural power hitter on the bench (like we do in Tyler Moore and/or Chad Tracy), I asked myself this question: Which probable NL playoff contenders are going to be helped or hurt by their intraleague schedules this year? (Note: I’ll skip the obvious answer to Cameron’s above question: who cares how well constructed you are when you start the season 12-1? And, had Cameron waited about a week to write this the answer may have very well been Atlanta’s out-of-nowhere find Evan Gattis, who clearly can serve as an interleage DH very ably). Washington: Home to Chicago White Sox, Detroit (2), Baltimore (2), Minnesota. Away to Cleveland, Baltimore (2), Detroit (2), Kansas City. Atlanta: Home to Kansas City (2), Minnesota, Toronto (2), and Cleveland. Away to Detroit, Toronto (2), Kansas City (2), Chicago White Sox. Head to head, you have to say that Washington has a slight inter-league advantage over Atlanta; they have to play defending AL champs Detroit 6 times to our 4, they have to play Toronto four times instead of our Baltimore (a slightly tougher matchup). The games involving Cleveland and Chicago are probably a wash. Atlanta’s “natural rival” right now is Toronto to our Baltimore, which likely hurts them this season. Cincinnati: Home to Los Angeles Angels, Cleveland (2), Seattle, Oakland (2). Away to Oakland (2), Texas, Houston, and Cleveland (2). St. Louis: Home to Kansas City (2), Texas, Seattle, Houston (2). Away to Kansas City (2), Houston (2), Oakland, Los Angeles Angels. St. Louis doesn’t play a single AL team until May 27th, and plays 8 of their 10 away AL games IN A ROW in mid June. This is a pretty massive scheduling advantage that lets them modify their roster for one big AL road trip and basically not have to worry about the away AL games the rest of the season. Head to head as compared to Cincinnati, you’d have to give a slight edge to St. Louis again, for getting those two extra games versus Houston. Otherwise these two slates look pretty even. Either way they’re both considerably more difficult than what the NL East teams face, thanks to the games against the AL West playoff-calibre teams. Half their games are against LA, Texas and Oakland while the Nats only have to worry about 4 Detroit games (unless you think that Baltimore is going to be a playoff team again, which I don’t). San Francisco: Home to Oakland (2), Toronto (2), Baltimore, Boston. Away to Toronto (2), Oakland (2), Tampa Bay, New York Yankees. Los Angeles: Home to Los Angeles Angels (2), New York Yankees (2), Tampa Bay, Boston. Away to Baltimore, Los Angeles Angels (2), New York Yankees (2), Toronto. Ouch; the NL West guys have AL East heavy interleague schedules this year. I’d say that the Giant’s slate is slightly harder; Tampa Bay and the Yankees and four games against Toronto versus three for the Dodgers. Oakland vs Angels as a natural rival seems like it will be slightly harder on the Dodgers (but, Oakland is starting right where they left off and may be a playoff team at the Angels’ expense again). But again, either way you have to think the NL West teams are worse off than the NL East teams this year for interleague looking at their slate. All of this may be helpful to teams trying to get a wild card spot, which we all hope will be Atlanta and not us. Because we all now know what can happen if you slip to the one-game wild card play-in. Just ask Atlanta and Texas what happened last year, when two teams who I thought both had the capability of winning it all were knocked out in a coin-flip game. By the way, today on April 12th, the NL standings after 9 games basically already mirror the above scenarios in terms of Division leaders and wild card contenders. The only anomoly would be Arizona being in 2nd place by a game in the NL West. The cream rise to the top quickly it seems.